Whether your team is going to win or lose, sipping a cold drink and getting a munch of that delicious grilled meat will give you a positive vibe. We can win it, but even if we don’t I’m going to have fun, now that’s what tailgating is all about. I love being around tailgating events cause the feeling of thousands of clad fans with jerseys is such an unbelievable experience. Most fans start tailgating 3 – 6 hours before kickoff, however, there’s not going to be a party without a chilled bottle of brewis to wash the meat down to your stomach. 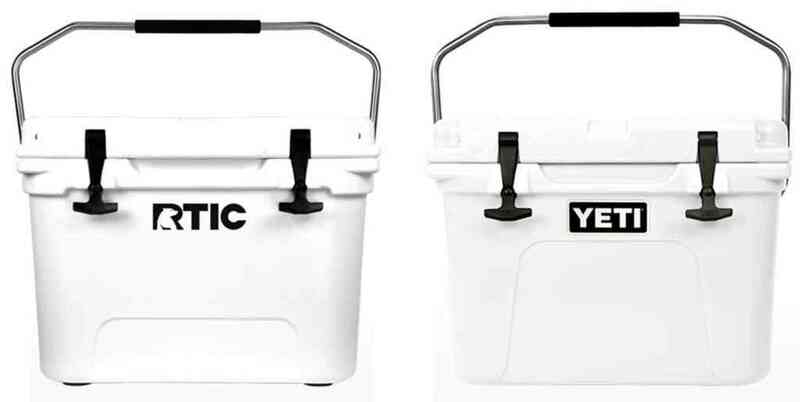 Now you will need the best tailgating cooler that can keep ice for at least a day. 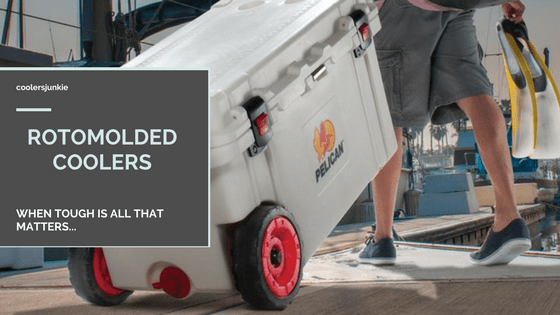 So you know a tailgate cooler is essential, but now you have another problem: which cooler should you choose out of the many growing lists of coolers out there? 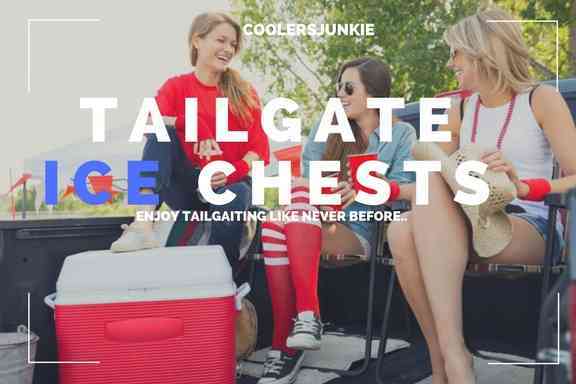 Now save your time and money by checking out these 10 Tailgating ice chests that will guarantee you have the best tailgate experience. Tired of carrying small accessories like a bottle opener, plates, speaker and blender to a tailgate? 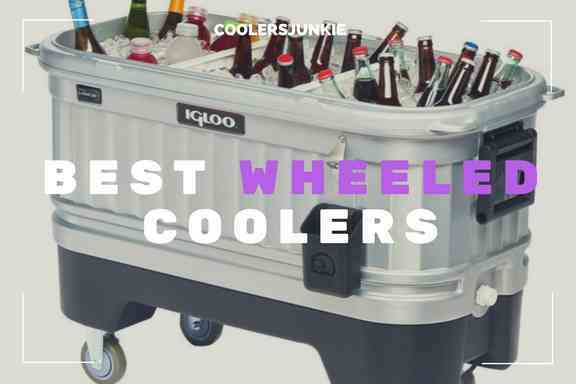 The good news is: Well you don’t have to be worried as the coolest cooler incorporates all these features and much more. The bad news is: Price, it may be a little expensive for people on a budget. That said, this cooler is what I would like to call the modern kind of cooler. First off, it is thermoelectric; this means you don’t need ice packs to get drinks cold. Just plug it into the power outlet of your car and have all the drinks and beverages iced. The bungee cords allow you to tie gears on the lid; this provides space for extra gears. It’s equipped with double-wide wheels and a long telescoping handle for transport. 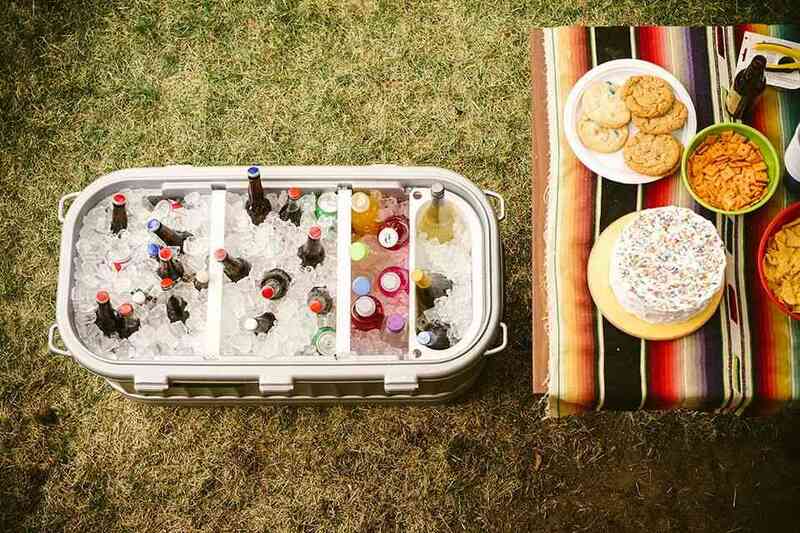 In terms of size, the coolest coolers is compact and can fit into the back seat of the car. At a little under 40 pounds, the cooler is quite massive. It built-in blender will blend as precisely as it gets. The spectacle of the cooler is the speakers – which produces quality sound, although don’t compare its efficacy with a woofer cause the latter is miles better. Also, you can connect the phone via Bluetooth to the speakers. With feature overloads, it will likely get spoilt, but you don’t have to worry cause the 1-year warranty covers all the manufacturing defects. Get thousands of head turned when you head out to the game with the coolest cooler. The Engel is among the best ice retaining cooler on the market. With an ice holding ability of 10 days, you’ll love the Engel. Aside from ice retention, the cooler is beautiful and combines thick walls that can stand up to rigors of outdoor caprices. The cooler comes in different sizes from as small as 25 quarts – 320 quarts. Of course, It doesn’t have some of the extra gimmicks that the coolest cooler has. However, in terms of ice retention and durability – this is the clear winner. Made from rotationally molded materials and up to 2-inch walls, the cooler is almost indestructible. Sure, you have color options to choose from – Haze gray, Tan, Tan with Camo lid and White which will make a perfect boat cooler as it is UV resistant. There’s a special marine grade latches to seal the lid and base, so that your ice doesn’t melt quickly. The hinges keep the lid upright, while tie-downs secure the cooler to boats. With a non-marking cornerstone feet, the cooler stays in its kept position. For efficient water drain, it employs a rust-proof resistant drain plug. 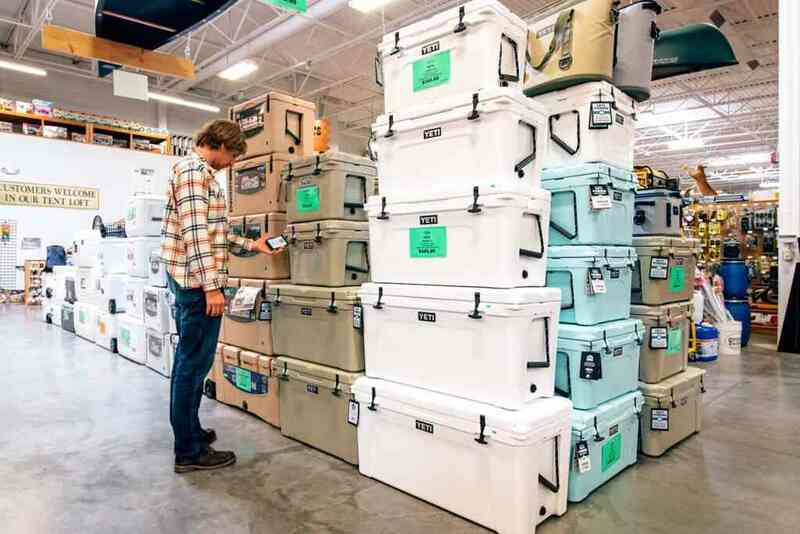 Sure, the cooler is certified grizzly bear resistant by IBSC’s standard and with a Duolock security hole, nothing can get inside. Are you the type who loves BBQ, but don’t want to fork out thousands for a BBQ grill and other equipment? The good news is – the picnic time buccaneer comes with a charcoal barbecue grill, which is stowed under the main cooler area. Three stainless steel BBQ equipment, tongs, fork and serrated knife for cutting. This way you can improve your grilling even when your favorite sport is not in season. 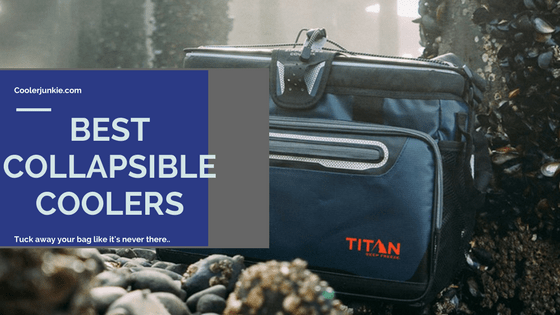 Convenience, efficiency, and safety are major functions this cooler thrives in thanks to the two carry straps, transporting the cooler is a breeze. The soft cooler bag has an interior area that’s insulated to keep ice, and it’s removable as well. Also, it can pack as much as 24 cans. The drawstring enables the cooler to remain stowed away. With lots of storage compartments: mesh pocket on the interior lid, 3 exterior pockets, large interior compartments to stow the BBQ, all your items are safe inside this compact tailgating bag. Incorporating a waterproof base, you will not experience leaks and sweats. If you are looking for a soft cooler that combines both style and efficiency, there’s no doubt; you need to get yourself this bag. Although it doesn’t hold ice for more than a day, you’ll appreciate its unique features and hours of ice. The RTIC soft pack has a sleek appearance, a design that will make you fall in love at first sight. Just like most of the tailgate ice chest, the RTIC soft pack will hold ice and leave you with a full day of iced drinks and beverage. As the name implies, this soft pack can hold up to 40 cans of ice, and with up to 2 of foam insulation, the bag holds ice better than most soft bags on the market. It’s chic colors, and eye-popping designs that will make you spoilt of choice – Black, blue & grey, kanati, rift blue, seafoam, strata, viper snow and blue are for lovers of fashion. The strap makes for easy carrying and use. The interior liners are antimicrobial and leakproof, while it’s also easy to clean. Users love the pack cause of its versatility; you can use this bag for picnic, camping, tailgate and much more. You can keep it anywhere, in the back of your RV, SUV or car it’ll fit in like an engagement ring. A tailgate enthusiast who has an exquisite taste of things will appreciate the design and functionalities of the bags. The major downside is the price which is slightly on the higher side. However, users looking for something durable, beautiful and efficient, the RTIC soft is yours for the taking. Just like most tailgate ice chests, the Coleman Xtreme will keep drinks cold, and the 50-quart size ensures you have enough space to fit in 84 cans and ice. The cooler includes two wheels and a telescoping handle which aids transport. The cooler has a cup holder in the lid, this provides easy access to cups. You can even put drinks and beverages too, so that you don’t have to open the chest frequently. Equipped thick walls and lid, the manufacturers boast of 5 days of ice period which we strongly doubt, 2 days is more viable according to most reviewers. For a efficient water purge, there’s a leak resistant drain plug which allows for complete drain giving you more hours of ice. It is also available in different quart sizes ranging from 25 quarts – 120 quarts. 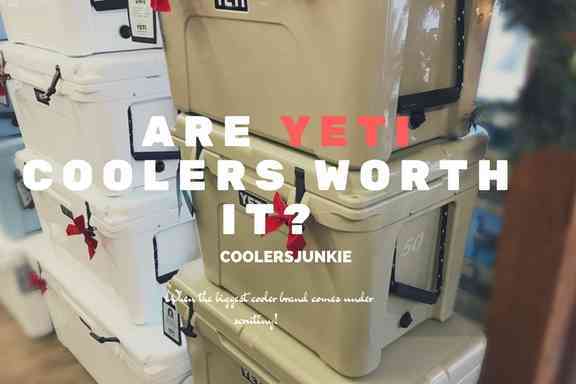 Now at its size, the cooler is ideal for small families who are looking for a decent cooler to pack enough supplies for a day, don’t go further. Does this sound like cooler you’d consider? Check out the reviews here on Amazon. 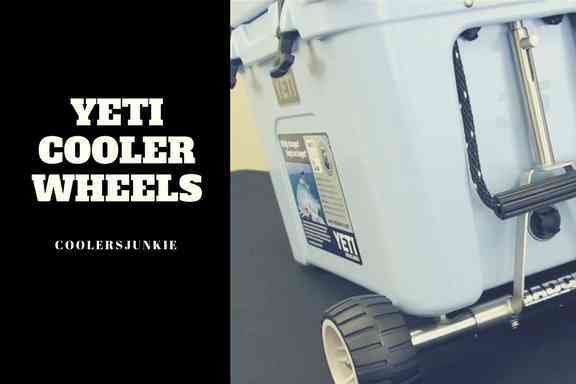 The Rov 80 wheeled cooler is one of my personal favorites. This tank-like cooler has everything that you would need. 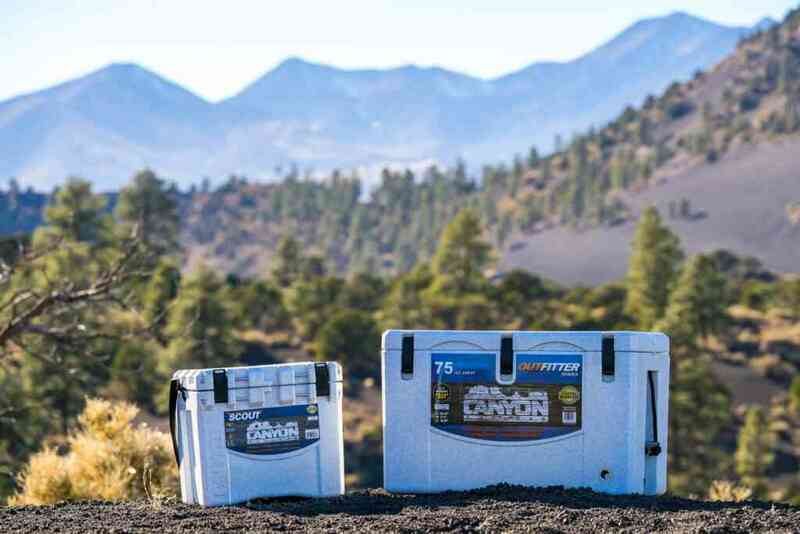 With a roto-molded build, the cooler can hold ice for up to 4 days. It is also one of the few rotomolded build coolers that’s cheap, if you really want a good tailgate ice chest, you’ll need the RovR cooler. Quite spacious, the cooler has an 80 quart capacity which holds 96 cans and can keep 6 bottles upright. As it is equipped with nylon hubs wheels, expect to tow the cooler even in rough terrains. For easy carrying, the handle has comfortable grips and aluminum padded handle which allows effortless towing. Another nice thing is that it has cutting board table to cut grilled meat, while there are two cup holders to stash water bottle and drinks. The cooler incorporates internal dry bin to divide dry items from cold. To sum it all, I wish it had a thermoelectric feature to produce ice without the need of ice packs. If you are looking for an affordable, all-around sturdy cooler, this is the one for you. The NFL Pop-up barrel is versatile, and that’s one thing you’d love. Whether it’s in the back seat of the car or your suitcase the pop-up barrel will fit in. This collapsible bag can be stashed away when not in use. The cooler measures Stand 19″ tall and 16.5″ in diameter. Keep in mind this bag is pretty large and stores a lot of stuff. It also includes carry handles for ease of use and transport. 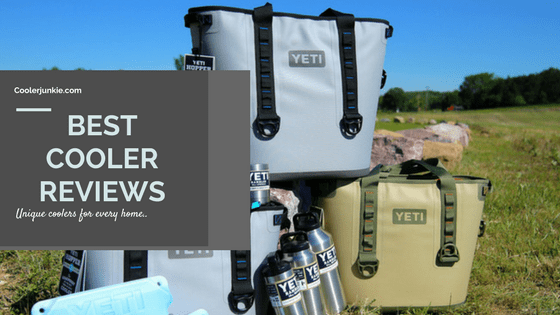 Utilizing durable liners, the cooler bag doesn’t leak and holds ice for hours. Although the ice performance is limited compared to the other options above, you’ll appreciate that the price goes for less than 25 bucks. 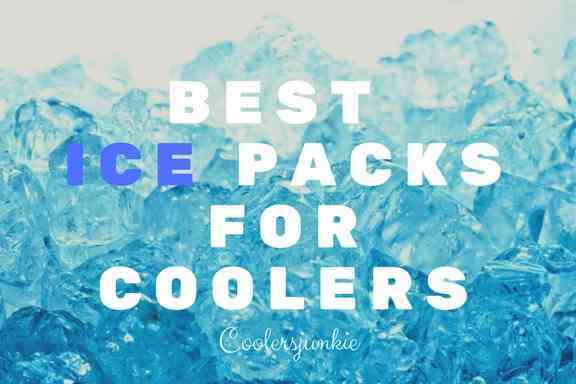 You should remember – the cooler doesn’t have a top, meaning it’s best suitable for immediate use and doesn’t retain ice for long. In all, if you are looking for an affordable tailgating bag, this may be the one for you. Without a doubt, this gear, which by the way is gorgeous, also has plenty of features that will get you excited. This tailgating bag is multi-functional as it combines a tailgating table with insulated cooler, a travel bag, and food basket. Four cup holders with a food table are embedded into the table. Just below the food basket is the zippered insulated cooler. For maximum stability, the cooler comes with four tension straps equipped on each corner. This collapsible bag might be your go-to if you want to save money on a camping cooler, table and traveling bag. Then again, the lightweight design and multi-functional abilities make it ideal for camping, picnic and much more. The ORCA alongside the Engel is the highest ice performing coolers on the list. In terms of durability, this icebox is the most valued. Sure it won’t come with all the handy features of the collapsible folding table above. But it will do the what high-end ice chest do: last longer, and hold ice better. Don’t be fooled; the Orca has a few features that’ll make you love it, here are 4 features that will make you value it. A lid gasket to provide perfect seal and the ergonomic handle design allow for easy transportation. It has a rotomolded build which makes it nearly indestructible. Finally, it has a drain plug, and whale tail latches to keep the lid seal at all times. A sturdy option that will last for ages without failing at it functions.